Gamevil has released the Baseball Superstars 2011 game for iPhone, which is already available for download on the AppStore. 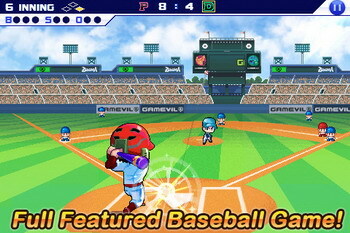 Baseball Superstars 2011 is a full featured baseball game which includes 6 different modes to satisfy everyone's needs. My League Mode contains unique RPG elements in a sports title, Season Mode requires great management skills, Exhibition Mode provides sheer entertainment, Homerun Race offers quick challenge, Mission Mode demands finest skills and Match Play Mode allows you to boast your talents to the rest of the world! The iPhone games features graphically enhanced baseball simulation - new visual angle at bat, leaping and diving catches along with laser throws from the fence to home plate adds to the excitement of spectacular baseball plays. 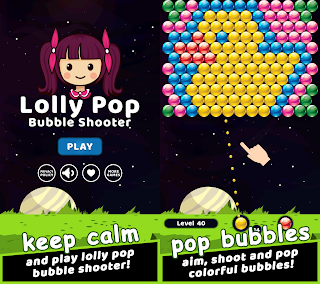 Players can customize game settings to select the specific scenarios or players that you wish to play. In addition, now you can customize the stadium and turf to earn more money for your ball club. You can perform events through full interactive outings menu, hire super players as coaches to boost your team's ability, and achieve record breaking numbers to take part in the Superstars tournament. Achieve all batting, fielding and special records as well as skills and nicknames that are available. See how many back to back to back home runs you can blast or how many perfect games you can pitch! Baseball Superstars 2011 lets you challenge players who have defeated you in Match Play mode and send Hall of Fame players as a gift to your friends. Baseball Superstars 2011 for iPhone is available for download $4.99 on the App Store in the Games category. 0 comments on "Baseball Superstars 2011 iPhone game released by GAMEVIL"